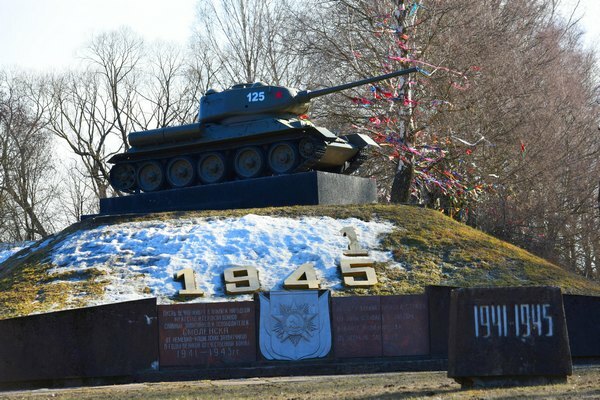 On the northern edge of Smolensk, on the road to Pechersk, in honor to the soldiers of the Red Army defending the city in July 1941 and liberated it in September 25, 1943, in 1967 was set and unveiled a monument — T-34 tank. On the northern edge of Smolensk in 1941, and in 1943 there were the fiercest battles for the city. In the summer of 1941 the Germans, using the fact that in Smolensk at that time were not the regular units of the Red Army, captured the southern part of the city immediately, but after the arrival of our forces, the fighting in Zadneprovye continued with varying success for two more weeks — and it was in those days, when every day was important to attack Moscow. By their courage and firmness Soviet soldiers foiled the plans of Hitler’s command — Smolensk Nazi blitzkrieg first began to fail, and after the battle for our ancient «city-key» for the first time Hitler gave orders to his troops to defend themselves. T-34 tank is on a decent place. And even, if it is not the machine that liberated Smolensk, but it has become a symbol of the liberation of not only our city, but the whole Russia, and Europe. 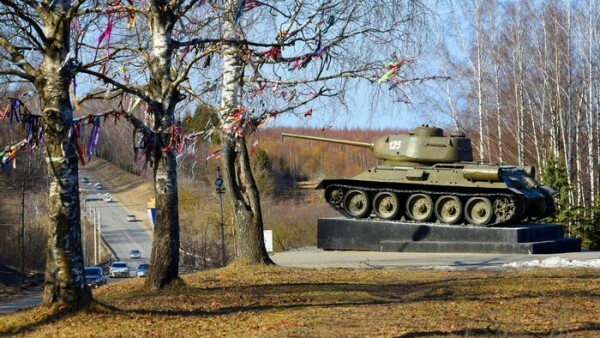 The fighting machine, installed on the Kutuzov Street, at the entrance to the city from the Moscow-Minsk highway, is the object of cultural heritage (the monument of history and culture) of regional importance «monument — T-34 tank, installed in 1967 to commemorate the victory of the Soviet troops over the Nazi invaders».